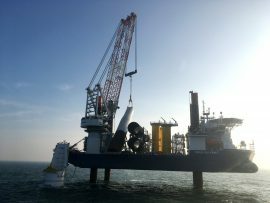 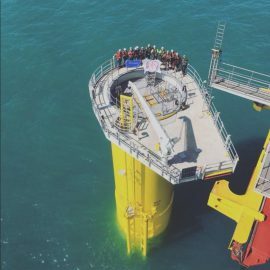 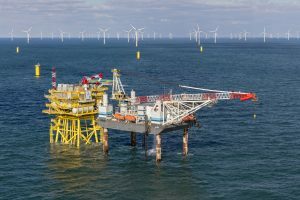 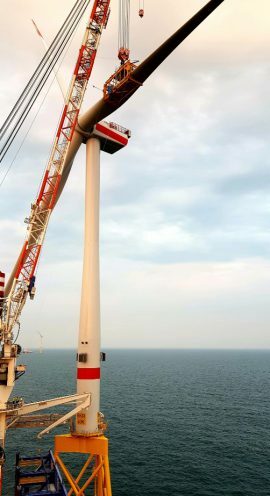 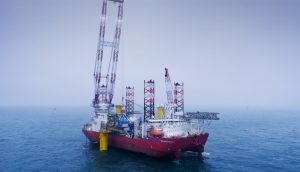 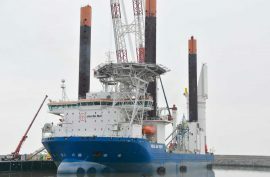 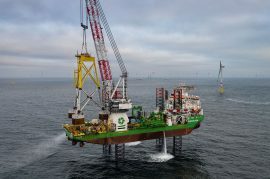 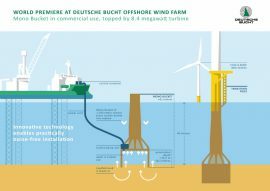 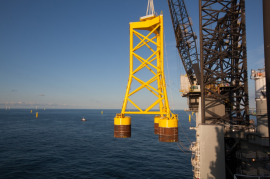 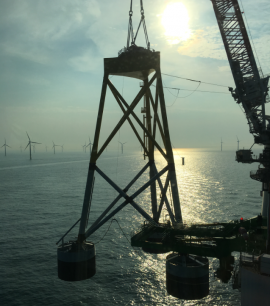 Jan De Nul’s offshore installation vessel Vole au vent has installed the first monopile on Ørsted’s 450MW Borkum Riffgrund 2 offshore wind farm in the German North Sea. 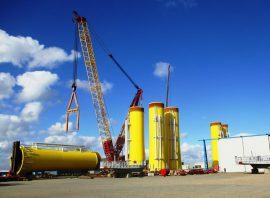 Harland and Wolff has manufactured and exported 24 suction buckets for the Borkum Riffgrund 2 offshore wind farm to ST3 Offshore’s serial manufacturing plant in Stettin, Poland. 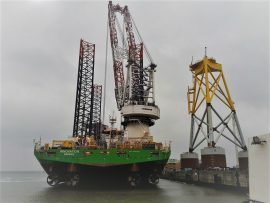 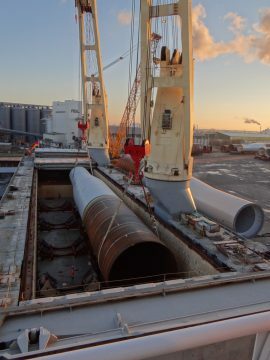 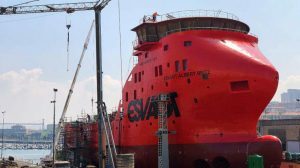 The first six monopiles EEW SPC produced for Ørsted’s Hornsea Project One offshore wind farm were loaded onboard SAL Heavy Lift’s crane vessel Svenja in the Rostock port and will now be on their way to Able Seaton Port in the UK, where they will be stored until the installation starts. 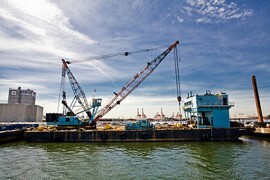 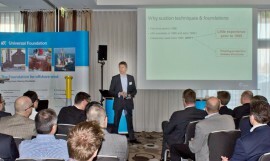 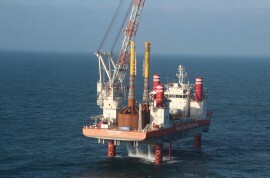 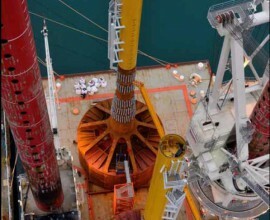 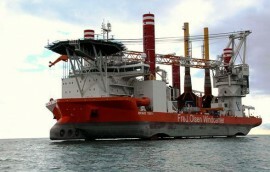 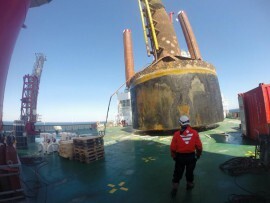 DONG Energy has decided to use only monopile foundations on the 174-turbine Hornsea Project One offshore wind farm. 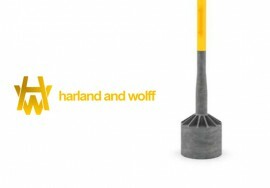 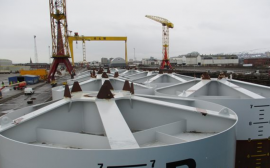 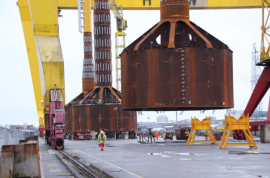 Northern Ireland’s marine manufacturer Harland and Wolff (H&W) has been chosen by jacket foundation supplier ST3 Offshore to supply suction buckets for DONG Energy’s Borkum Riffgrund 2 offshore wind farm in the German North Sea.